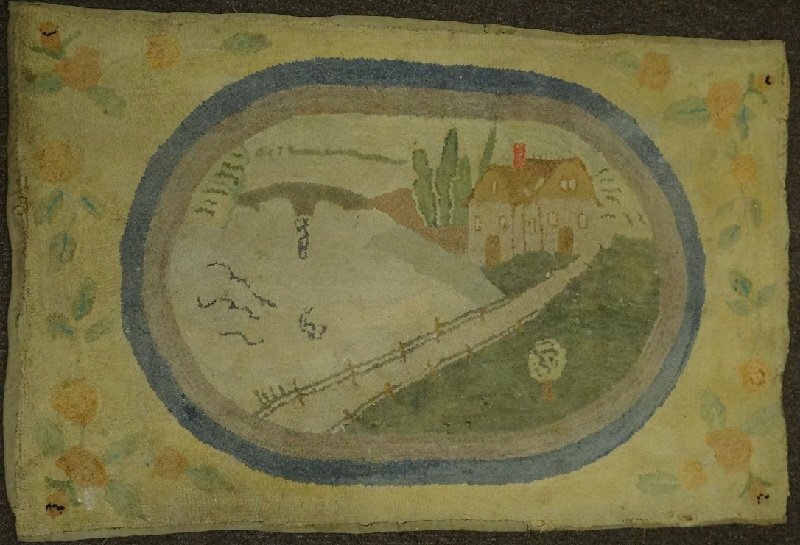 Pictorial rug patterns featuring a house in a landscape in various iterations were published by several companies in New England and Canada, and could form the basis for a charming collection, each one different. In this lovely pale example a house is at the end of a country lane. The picture is set in a blue oval narrow inner frame, and the rug is bordered all around with yellow flowers.